The Olivia books have quickly become such classics that they hardly need reviewing on this site, but since they are currently among our favorite books, I had to talk about them. 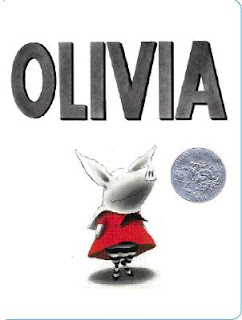 Firmly in the Eloise tradition of miniature heroines, Olivia is a confident, imaginative, strong-minded little piglet, who reluctantly puts up with her younger siblings (most of the time) and keeps her parents on their toes with her antics. In the first book, we follow Olivia to the fine art museum and witness her love of Degas and her disdain for Pollock (she does a quite credible pollock-esque mural on the wall when she gets home, just to show that she can. A time-out understandably ensues). We enjoy her wardrobe variations; her love of playing dress-up, her amazing skills at sand-castle building, and the way she turns a lovely pinky color after a day at the beach. 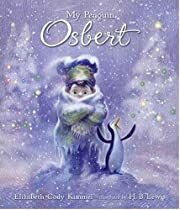 This is one of those delightful picture books where the text and the illustrations are equally well crafted, and work in tandem to create Olivia's vivid worlds. Kids will see Olivia as a kindred spirit, and parents will instantly recognize the tired-but-affectionate look on Olivia's mother's face as she tucks her exhausting daughter into bed. "You wear me out, but I love you anyway," she tells Olivia. "I love you anyway, too," Olivia responds. Truer words were never spoke. Interested in this book? Check out Olivia's website, and get more details or make a purchase at the bookstore. This year's Newbery and Caldecott award winners have been announced - always worth checking out. The Newbery went to Neil Gaiman for The Graveyard Book (ages 8-12). You can read his cute blog post about finding out here. The Caldecott went to The House in the Night (ages 4-7), illus. by Beth Krommes. Shan recommends Our Nest (for the 0-3 set). Mom and Kiddo recommend Keats's Neighborhood: An Ezra Jack Keats Treasury (ages 4-7). Ellen recommends Ellen's Lion: Twelve Stories by Crockett Johnson (ages 4-7). You can get 'em all in the bookstore (for keeps) or at your local library (for temps). Enjoy! So, it's a new year, a new president (yay! ), and you're looking for something new to read to or with your kids. Here's a book that might be a little hard to find, but is well worth the hunt. Translated from the original German, Wicked Enchantment tells the story of a girl named Anemone and her dog Winnie, as they embark on a sort of feminist modern-day Cinderella/adventure story. Intrigued? Anemone's dear father has just remarried after the death of Anemone's mother, and in true fairy-tale fashion, the stepmother and her son, Erwin, are terrible additions to the family. Erwin terrorizes all the family animals and shifts the blame to Anemone whenever he's caught out, but (of course) no one will believe that Anemone is suffering from anything other than jealousy. Finally things get so bad that Anemone lights out for her Aunt's house across town, a utopian abode where cats and mice live peacefully together and everything is more magical than it at first seems. With the help of her Aunt, Anemone disguises herself and her dog as a young boy and sets out to determine just what the heck is going on with her new relations. What she uncovers is an evil plot that threatens the entire village of Vogelsang, and forces Anemone to draw on all her intelligence, courage, and common sense (qualities she fortunately possesses in abundance). This is a book I found by chance at a public library sale when I was in my teens; I picked it up because it looked like it might be interesting, and the book was soon a family favorite. If you're looking for well-written fiction centering around strong, interesting female characters, this book will be right up your alley. Interested in this book? Get more details or make a purchase at the bookstore. illus. John Leech, George Cruikshank, Gustave Doré, John Tenniel, and "Phiz"
Look: you gotta have Dickens at Christmas. IT'S THE RULE. And if you've never read the original novella, well, why the heck not? Get thee to a bookstore or library and just do it! There's a reason it's such a classic: the combination of humor, pathos, satire, and ultimate optimism about human nature never gets old. It's the perfect length for annual perusings: in our family we read it aloud every Christmas Eve (and Dickens is one of the best authors to read aloud). This edition includes both the original 1843 text and the 1869 version that Dickens himself used for reading aloud, along with a comprehensively researched introduction and a wealth of notes, anecdotes and illustrations to supplement the story. If you're a nerd like me, the annotations are truly handy for answering all those 'what the heck is THAT?' questions that come up when reading something from a different era. When it comes to pop-up books, Robert Sabuda is king. His simple, fanciful designs make his books as much works of art as works of text. He's done several winter and holiday themed books, and they're all worth having. 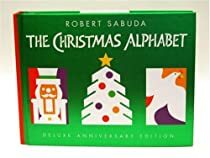 The Christmas Alphabet takes simple white paper and transforms it into animated letters of the alphabet all with a Christmas theme. Whether it's two reindeer kissing (for "K") or a beautiful poinsettia blooming (for "P"), each pop-up is like a new gift to open. A perennial favorite. Oh, my, this is a cute book. A classic be-careful-what-you-wish-for tale, this is the story of young Joe, who has a history of being a little disappointed in his Santa gifts. It's not that he doesn't get what he asks for (e.g. a red fire engine), it's just that they aren't quite what he meant (only 3 inches long). So this year, he decides to be really specific with his list, and sure enough - waiting for him under the tree Christmas morning is the pet penguin he asked Santa to bring him. At first Joe is overjoyed ... but then the realities of penguin ownership kick in, and Joe slowly realizes that he maybe didn't think this wish through. Funny all year long, with wonderful illustrations that add to both the humor and the cute factor (which is considerable). I only discovered this story in the last few years, but it's rapidly become one of my faves. 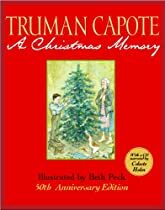 I'm not usually a huge Capote fan, but this tale of a young southern boy and the eccentric elderly cousin who is his best friend is a great American Christmas story. It starts in "fruitcake weather" as Buddy and his cousin gather the ingredients (some - the pecans from the orchard - are free, and some - the whiskey - are more illicit) for the cakes they make each year to send to people they admire. As the story moves on they engage in other timeless Christmas rituals, secure in their fast friendship despite the deprivations of poverty and other family members who have little time for them. It's a beautiful, poignant tale, wonderful to read aloud and sure to be enjoyed by all but the smallest children (I'd say it's best for age 7 and up). In religious terms, I tend to refer to myself as a militant agnostic: I don't know and you don't either. 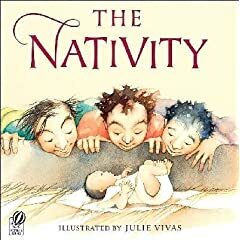 But the nativity is a pretty good story, whatever your beliefs, and this picture book version absolutely captivated me from the first minute I saw it as a lowly bookstore clerk back in the early 90s. The text is taken from the King James version of the book of Luke, familiar to anyone who's watched the Charlie Brown Christmas special year after year. But what makes the book special are the amazing illustrations, which depict Mary, Jesus, Joseph, the angels, and the whole crew not as stiff, gilded medieval royalty, but as quintessentially everyday folk. The drawings are rendered in playful watercolors, showing angels with raggedy wings and unlaced muddy workboots sharing a cup of coffee with a tired looking Mary. The infant Jesus is so stinking cute you want to pick him up and squeeze him, which - for me, at least - is a novel and enjoyable response to depictions of the birth of Christ. The overall effect of the book is to make the nativity supremely joyful, earthy, and ... plausible. Wonderful for reading aloud this time of year. Oh, the irony. Or perhaps sheer bad luck. Right after I put up the last post, Google flagged my blog as spam and locked the whole thing down. And then took their own sweet time about fixing the error. So ... sorry about that! Right now I've gotta go exert the force of my will on some Christmas projects that Must. Get. Done. But I promise that the yuletide book reviews will commence tomorrow, and won't stop until Santa's come and gone! Thanks for your patience. So ... a two month absence since my last post. How did THAT happen? I don't exactly know, but I suspect that my toddler and my pregnancy had something to do with it. At any rate, I abjectly apologize, and to make it up I'm going to be posting a wealth of great holiday-related books from now until the New Year. So buckle up, check out the new links for my bookstore (left and in the menu above) and Barefoot Books (in the righthand sidebar), and I promise I'll be posting more regularly!!! A part-time theatre professor, full-time mom, and rabid bibliophile.